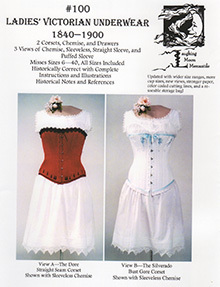 Perfect for all Victorian Events! Victorian Weddings, Dickens Faires, Civil War, Wild West, Dance Hall, Saloon Gal, Pioneers, Gilbert & Sullivan, Melodramas. Historically Correct with Complete Instructions and Illustrations.